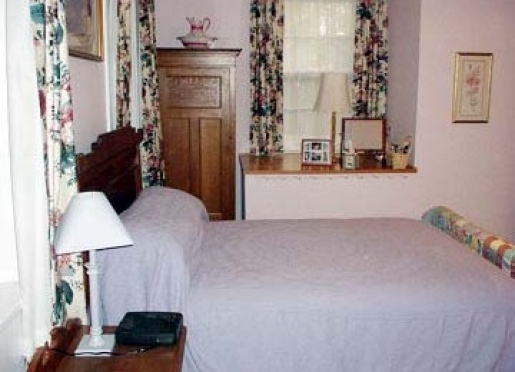 Welcome to Plâs Cadnant Bed & Breakfast in Shandon, Ohio! 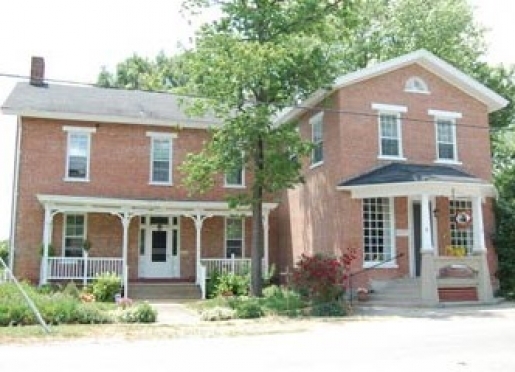 Enjoy a retreat to a historic home in a country setting. Wake up to the smell of freshly made Welsh cakes on the griddle. 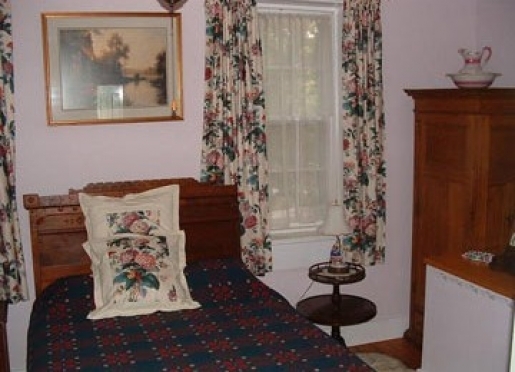 Go to sleep in a room filled with turn-of-the-century antiques. Spend an evening with the innkeepers, conversing in English, or Welsh if you wish. Choose a book from the library and spend a few hours on the 50' porch with a view of nothing but green. Catch a few zzzz's on one of two hammocks stretched between hundred year old trees. 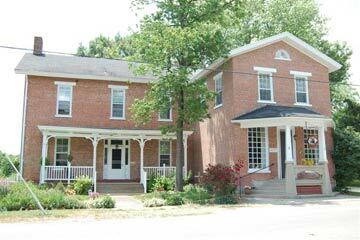 Located in historic Shandon, Ohio-settled over 200 years ago in the lush Miami River Valley. Plâs Cadnant was originally built by Welsh immigrants in 1832 as a general store. 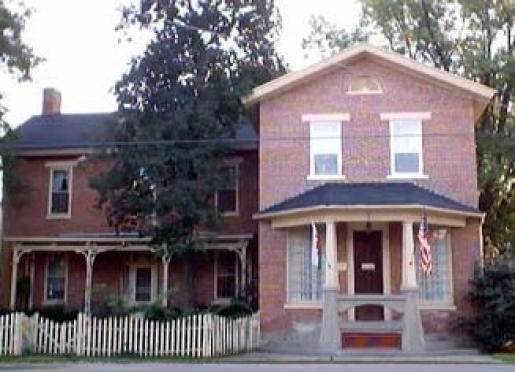 A residence was added in 1848 and the home has since been used as a post office, school house, dry goods store, supper club, ice cream parlor, and antique shop. 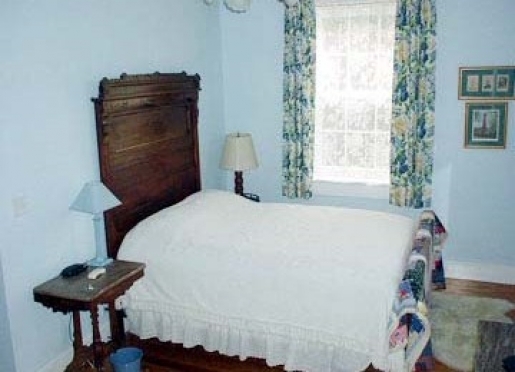 Remodeled recently into a quaint country Bed & Breakfast, specializing in the rich Welsh heritage of Shandon. You will be greeted by a Corgi named Megan who greets guests enthusiastically. There are also cats on the premises so let us know about allergies so we can quarantine them to a different part of the house if required. They are never allowed in the bedroom areas of the Bed and Breakfast. Travelers are always looking for memorable and relaxing experiences. Let’s discover more through the words of our innkeepers. Many thanks to Plâs Cadnant Bed & Breakfast for sharing their own secrets with BBOnline.com! Miami University events, Genealogy research, local family needs accommodation for relatives. 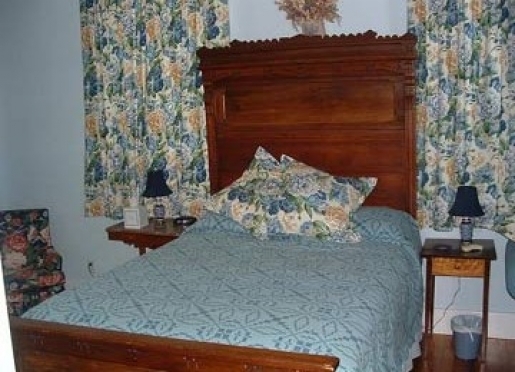 Friendly and accommodating service, relaxing environment with period furnishings. Welsh Cakes made fresh each morning. 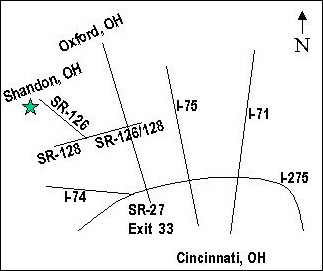 Proximity to Oxford, Rural setting, closeness to Cincinnati. 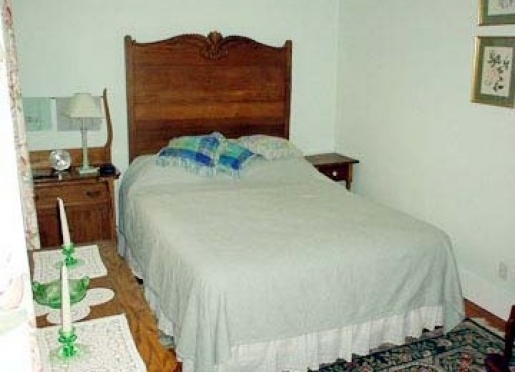 Comfortable rooms and great breakfasts. Unspoiled rural beauty with hills, trees and farms plus a large number of early 19th century brick homes. Visit Jungle Jims, Cincinnati, Oxford and local parks. Local cemeteries and antique shops. Many guests enjoy the Country Barrel which is just 4 miles west. The Butler County Visitors bureau at gettothebc.com. 2 rooms advertised but additional rooms may be available. Pets are not allowed in the bedrooms but may be accommodated if crated downstairs. Planning a small intimate wedding? We can help you plan your perfect day from hosting a pre-wedding dinner to a sit down dinner for up to 20 people or a buffet for around 35 to 40 people following the service.